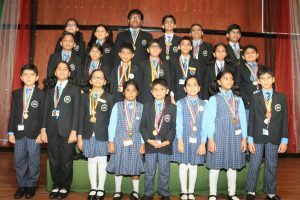 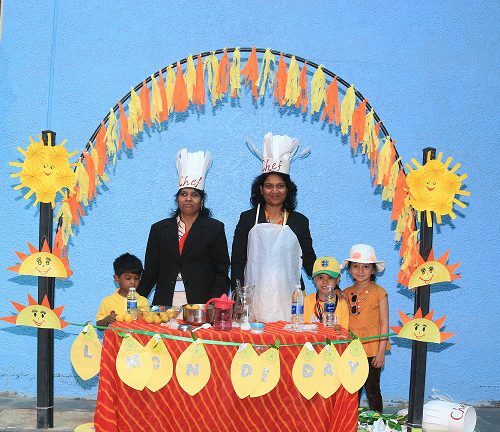 The scarlet day in the chronicle of 2018-2019 academia had its bureaucratic significance in investing powers and authority to the Student Council and prefectorial body in the Investiture Ceremony at Smart Indian School on 6th May 2018. 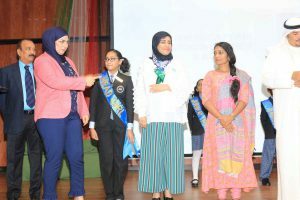 The time felt right to invest the abstract justice to the tangible members with the authority to shoulder up responsibility, leadership and initiation. 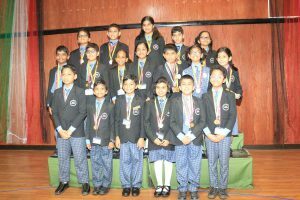 Hence, this investiture installed the powers to the following elected members under the offices of Head boy & Head girl, Junior Head boy & head girl, Cultural Secretary, Editors, Sport captains and leaders for all four houses – Seva, Satya, Sanskriti and Tapas and the Prefects of all classes. 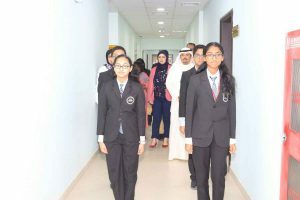 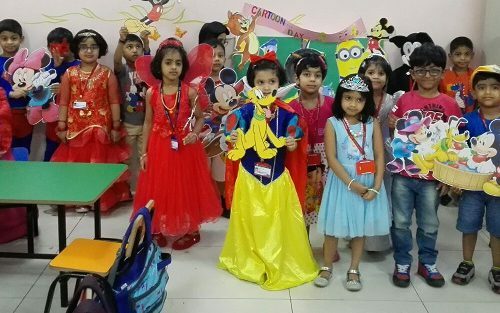 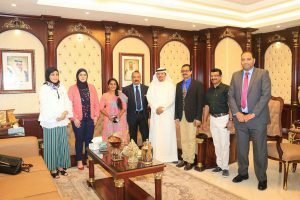 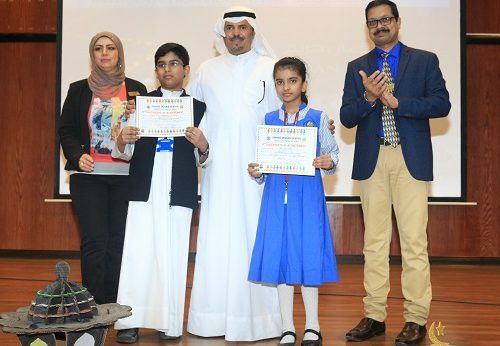 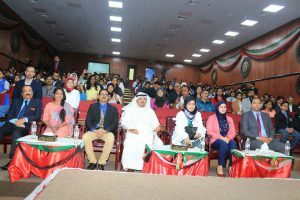 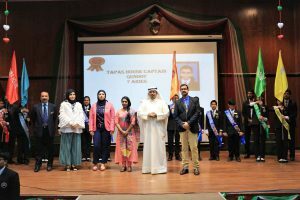 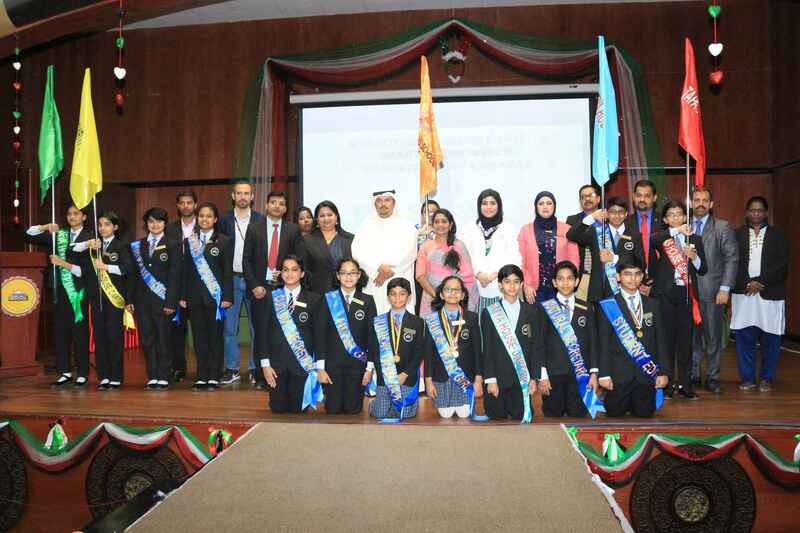 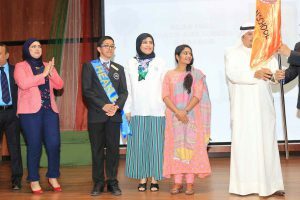 The highly special time was honored and graced by the esteemed Chief guests – Ms. Hanna Al Enazi and Ms. Priya Achu, Sponsor – Mr. Ali Judiyan Al Rasheedi, Principals of IES – Mr. T. Premkumar and SIS – Mr. Mahesh Iyer, Administration Manager – Ms. Shaima Zaki, Manager-Sponsor Office, Mr.Mohammad and KG Supervisor – Ms. Rajini Menon. 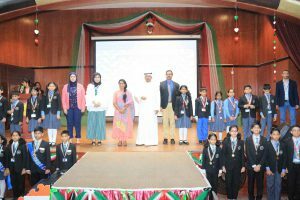 The wealthy conferral proceedings started off with the conventional pattern of Kuwait National Anthem, recital from Holy Quran, School Prayer and SIS Anthem. 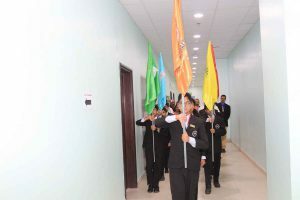 The former Student Council with the courageous and satisfying marching handed over their flags that signified commitment, dedication and fulfillment, to the new council members who held it high with the novel experience of exposure, enlightenment and empowerment. 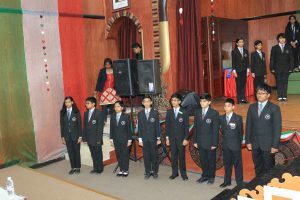 The stepping students with new roles had inscribed a new sense of pride and duty within them. 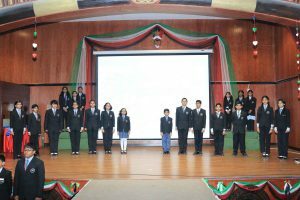 They were the subject of a hundred applauses around them with a focus to take up the new scenario of executing powers and bringing change around them. 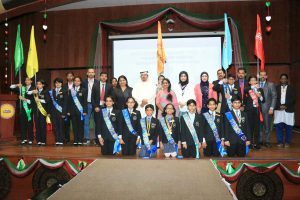 It was followed by the award ceremony where the cheerful parents witnessed their wards getting applauded under three significant categories of achievements – Proficiency, National Math Olympiad and Maths Wizard. 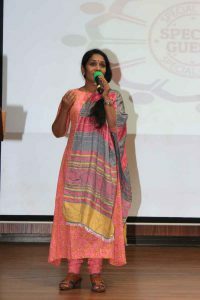 The chief guest uttered the words of wisdom to the newly elects and encouraged to carry on the task with no hesitation. 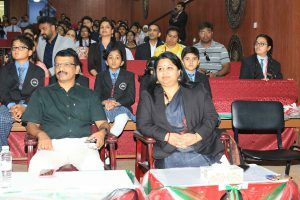 The ceremony came to a halt with the singing of the cancer survivor and a massive contributor to many struggling patients of the same disease, Ms. Priya Achu along with the school Principal, Mr. Mahesh Iyer to spread the feel of joy and admiration for the elects. 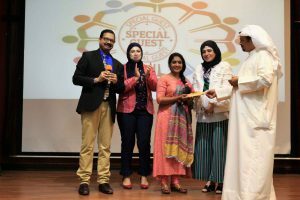 The benevolent sponsor stretched a financial aid to the charitable foundation and thereby proving that SIS stands not only as a haven for education but a creator of philanthropists too.